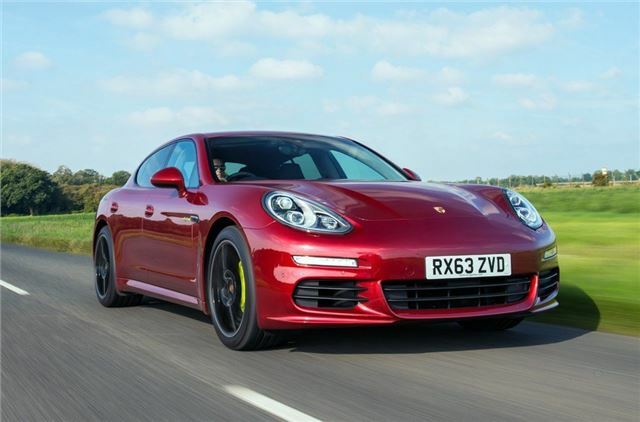 The announcement that Porsche was to build a big four-door saloon was met with more than a few question marks before the Panamera was launched in 2009. 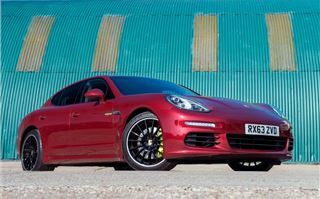 While the Cayenne had been a success for the German brand, many Porsche purists felt the Panamera was a step too far. A large number of journalists from the motoring press were equally sceptical. The looks certainly weren't universally popular which explains why the facelifted Panamera gets some small but significant changes to sharpen the somewhat bloated styling. There's a new bumper at the front with bigger air intakes and redesigned headlights too. But it's at the back where you really notice the difference. The number plate has been moved down, the tailgate is flatter and there are revamped lights. Overall it's a cleaner, if not particularly different, design. Like before, it's still a car that divides opinion, people tend to either be hugely enthusiastic or simply think its ugly. 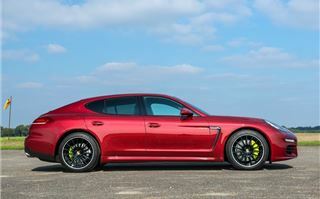 It's certainly sensitive to the paint choice and what alloy wheels are fitted. Smaller wheels on lower spec models often highlights the sheer bulk of the car, doing it few favours, but get the combination right, like the car in our pictures, and it can really make an impact. As for changes inside, well in short there aren't any. 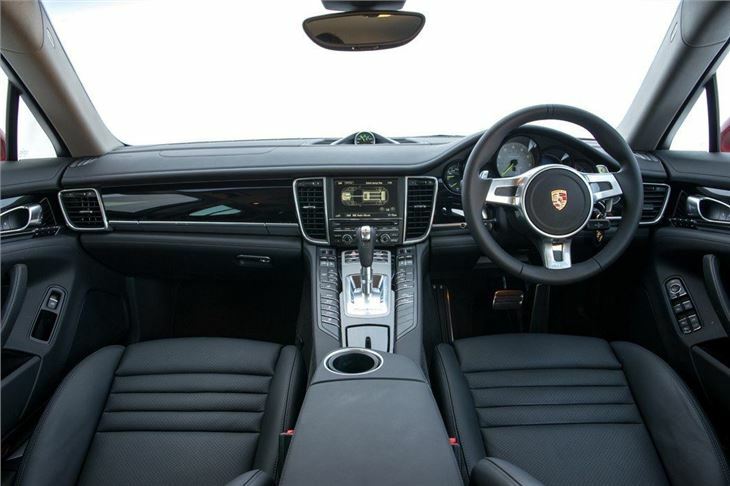 The original Panamera debuted Porsche's new style interior that has since made its way onto the rest of range including the latest Cayman. 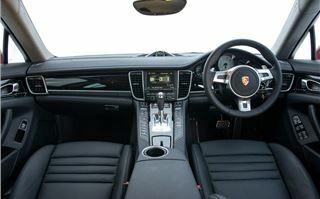 This includes the high centre console that rises up to the dash and has plenty of switches. 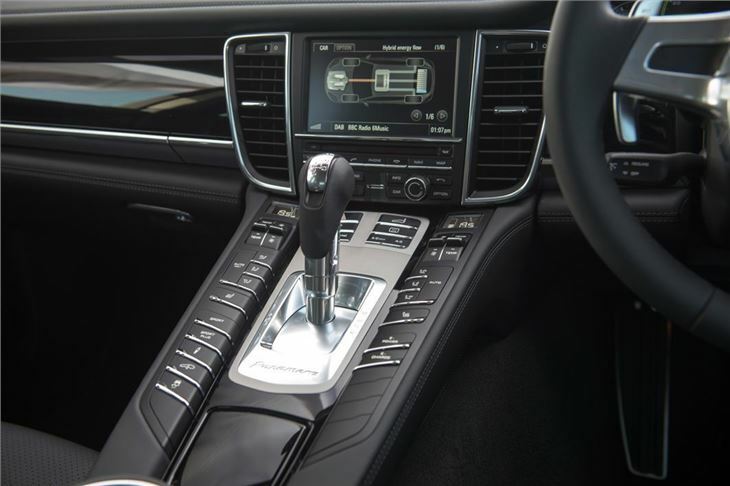 It can seem a little button-heavy, but it's part of the Porsche ethos of putting all the controls at the hand of the driver, so there are no dials to turn or menus to navigate. 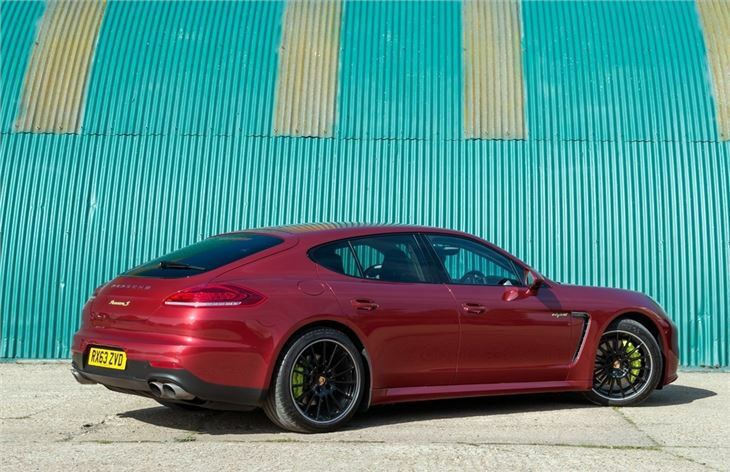 One thing that became quickly apparent to the motoring press on the launch of the original Panamera was that although it's a big four-door saloon, the Porsche is unlike any other car this size. 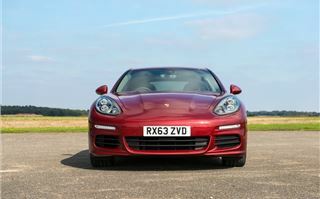 The handling and dynamic set-up won over the sceptics with an agility and feel that belied its size. 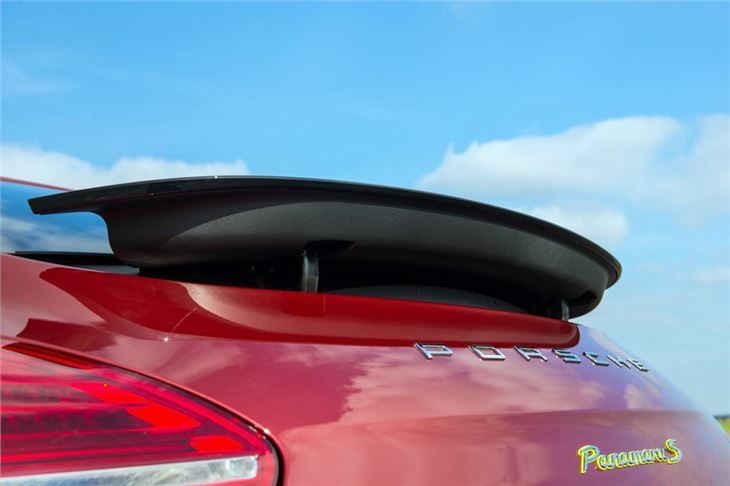 With such a strong basis for the facelift, the engineers have left things alone. That means it still feels like a much smaller car than it is. Not that you ever forget that this is a sizeable car in town or when you have to squeeze past a truck on a country lane, but on an open road it's easy to forget you're in a car that's more than five metres long. It has wonderfully responsive steering that's direct and well weighted, while the body control is phenomenal. 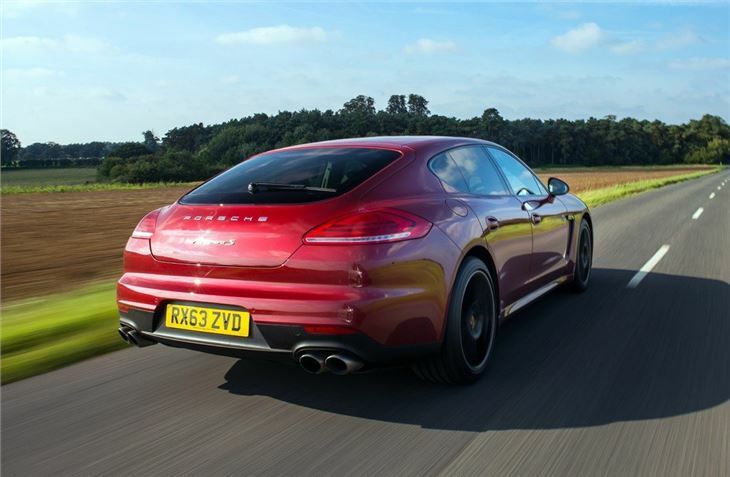 Throw it into a corner and it feels flat and composed with superb grip at the front. 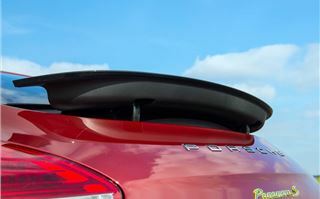 What Porsche has focussed on is the engine range. 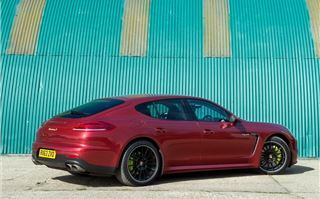 In fact in total there are eight models in the Panamera line-up which does seem a little overly complex to us. 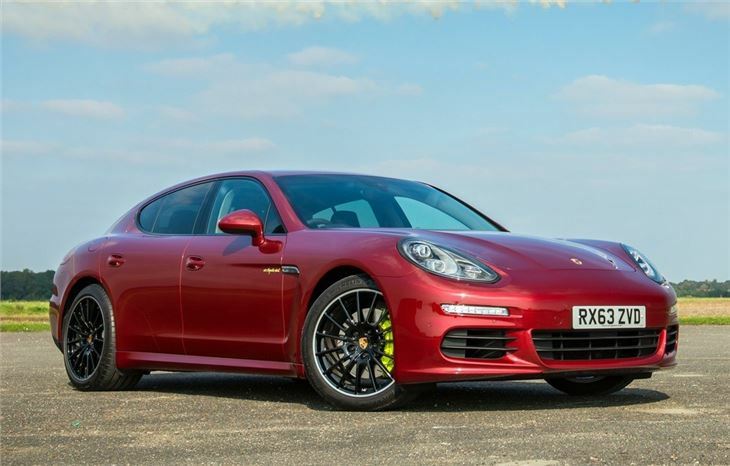 The Panamera S no longer has a V8 engine sadly, the 4.8-litre unit been replaced by a 3.0-litre V6 that has twin turbochargers to boost power to 310PS which is actually 20PS more than before. It also has more torque although as you'd expect, it has lost much of its beefy character. That said economy is much better now at 32.5mpg. 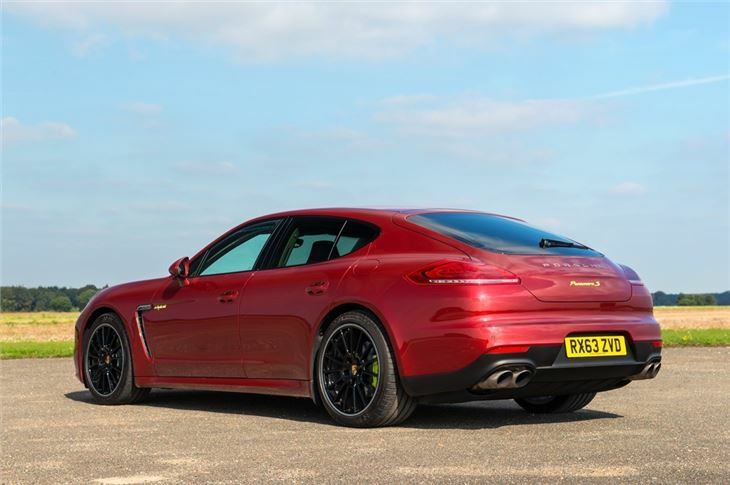 The Panamera Diesel continues as before with the same 3.0-litre V6 diesel engine while the GTS and Turbo models share the same V8 with the performance and price tag to match. 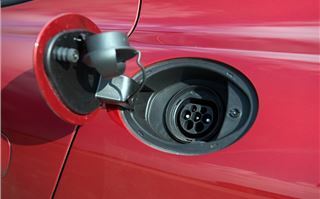 But the most intriguing model in the range is the new E-Hybrid - a plug-in hybrid that's designed to combine both efficiency and performance. 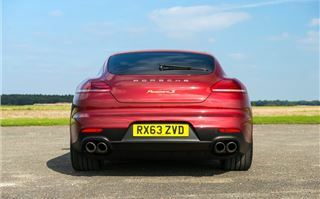 The figures certainly look good - 0-62mph takes just 5.5 seconds thanks to huge reserves of torque, yet claimed fuel economy is an astonishing 91.1mpg. Emissions of just 71g/km mean that amazingly it's also exempt from the London congestion charge. 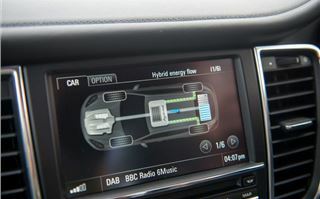 The hybrid system uses an electric motor which has twice as much power as before - 95PS helped by a new lithium-ion battery - working alongside a 3.0-litre petrol engine. 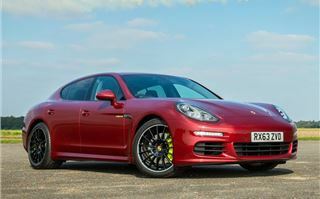 Combined they produce 416PS which isn't far short of the V8-powered GTS. 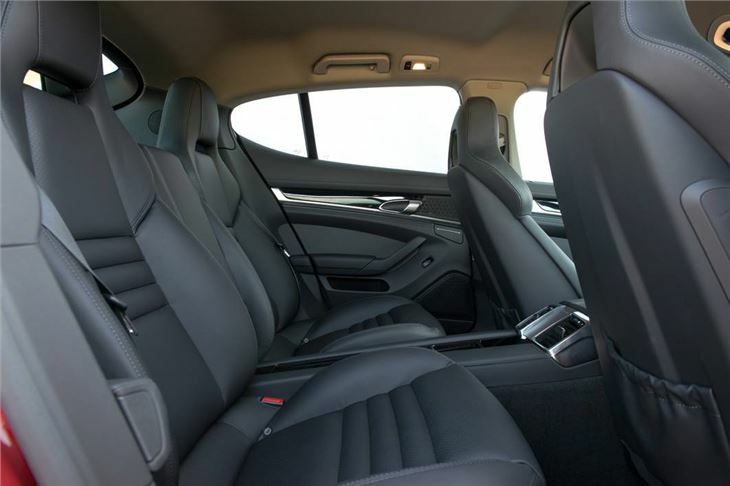 It's certainly an impressively powerful hybrid and as it has a Tiptronic gearbox rather than a CVT, there's none of the continuous whine you often get on hybrids. 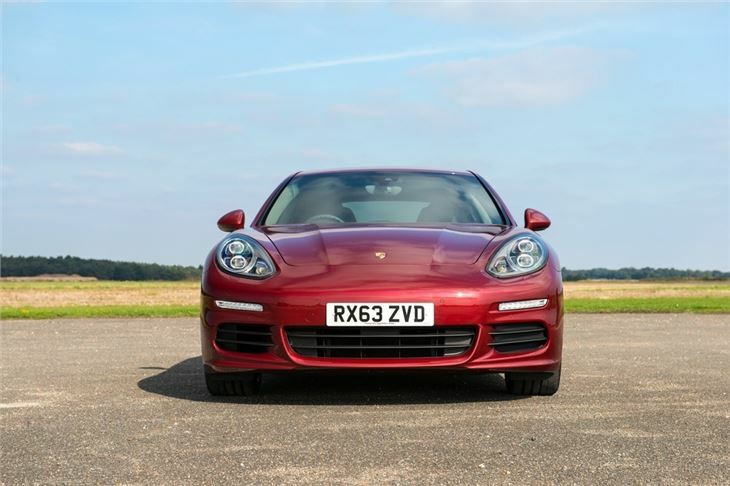 Strangely though it doesn't feel as responsive as the diesel, despite having far more power and superior torque it often requires more throttle input than you'd expect, although the acceleration itself is effortless. 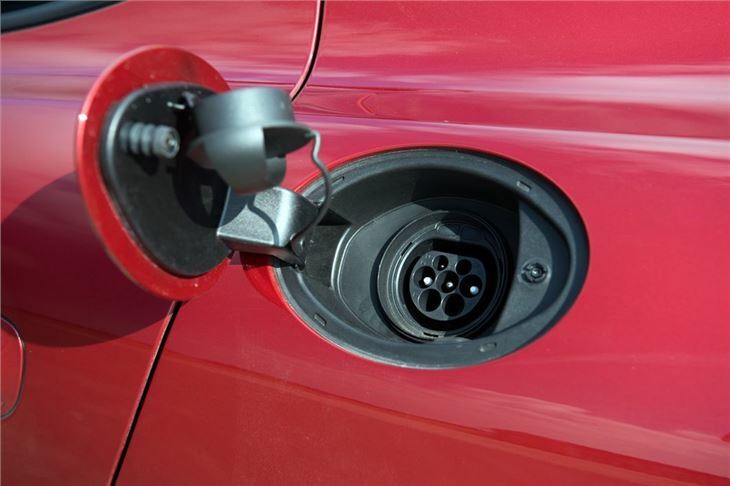 The E-Hybrid can also drive on electric power alone, up to 84mph, which is a strange experience in a car that you associate with an enjoyable engine noise. 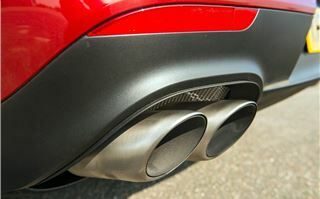 One quirk is the coasting function at higher speeds. This shuts down the engine and recovers energy to generate electricity. 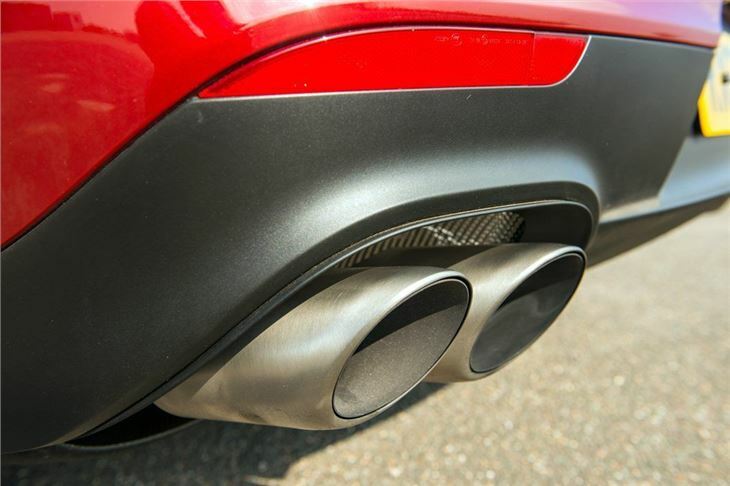 It means there's no engine braking so on the motorway you can find yourself having to use the brakes more than you want to, in order to back off the car in front. 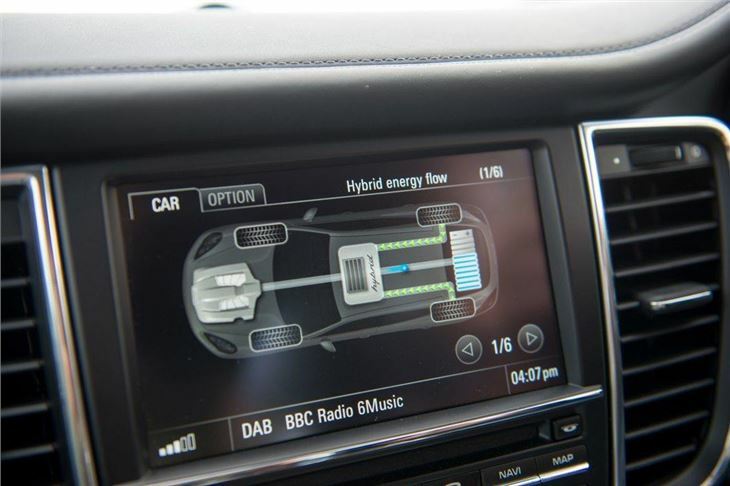 Of course, the big difference between the E-Hybrid and the old Panamera Hybrid is that it's now a plug-in, so you can fully recharge the battery from a standard domestic plug or a charging point. It takes around four hours from a standard socket although as part of the purchase price, a dedicated charging dock complete with installation is included. And that price is not a cheap one. 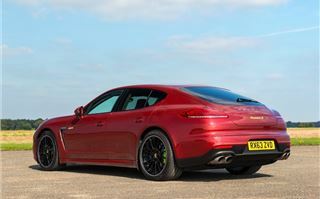 The E-Hybrid costs £89,000 meaning the only versions more expensive are the GTS and Turbo. But then none of the other Panamera models can offer the amazing economy of the E-Hybrid, although whether Panamera owners will want to plug their car in every night is a different matter. 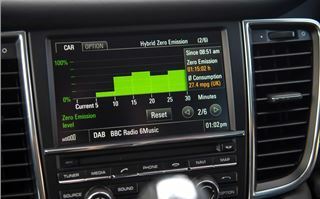 For many buyers wanting economy the diesel will still represent the best choice especially given that it's far cheaper at £63,000.